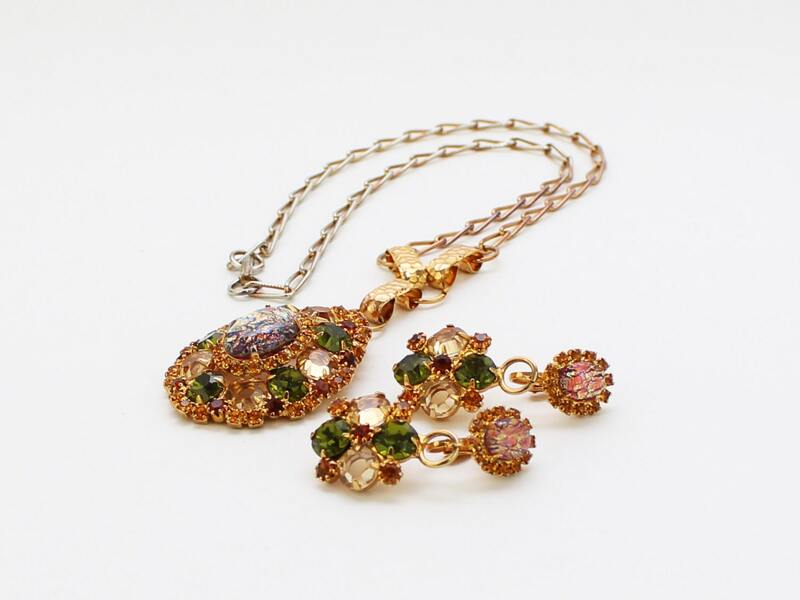 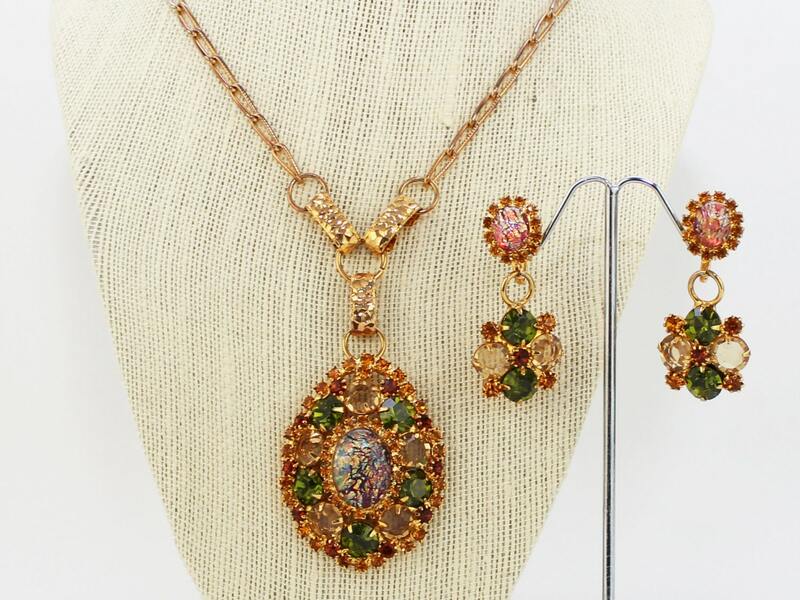 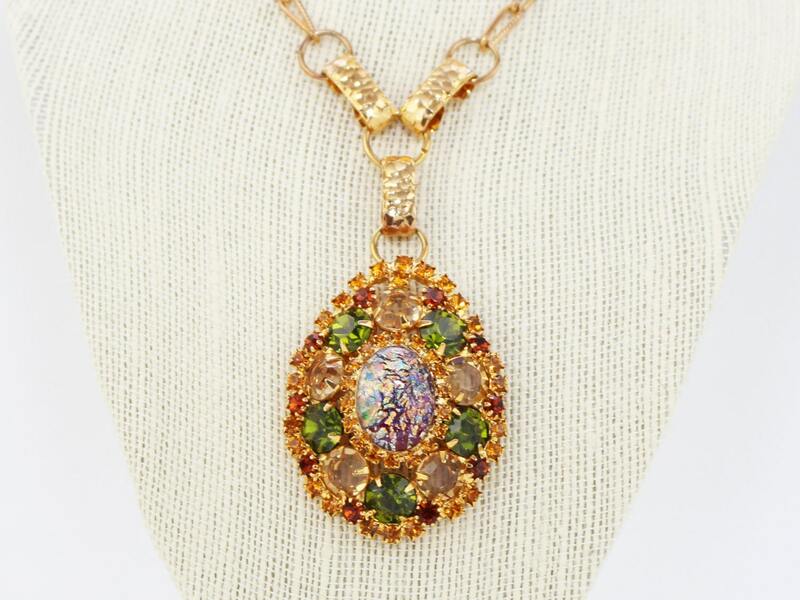 Gorgeous topaz and green rhinestone necklace and earrings with incredible center art glass cabochon stones. 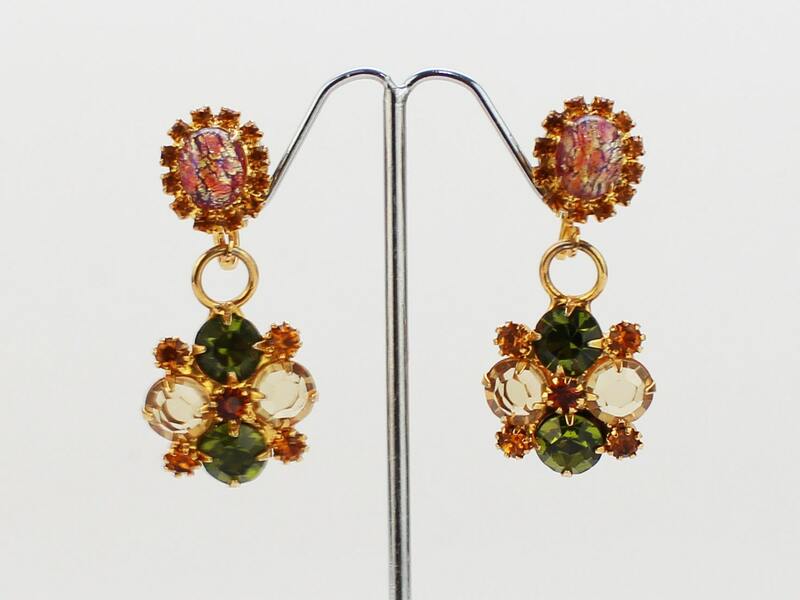 Earrings are clips and have a lovely dangle to them. 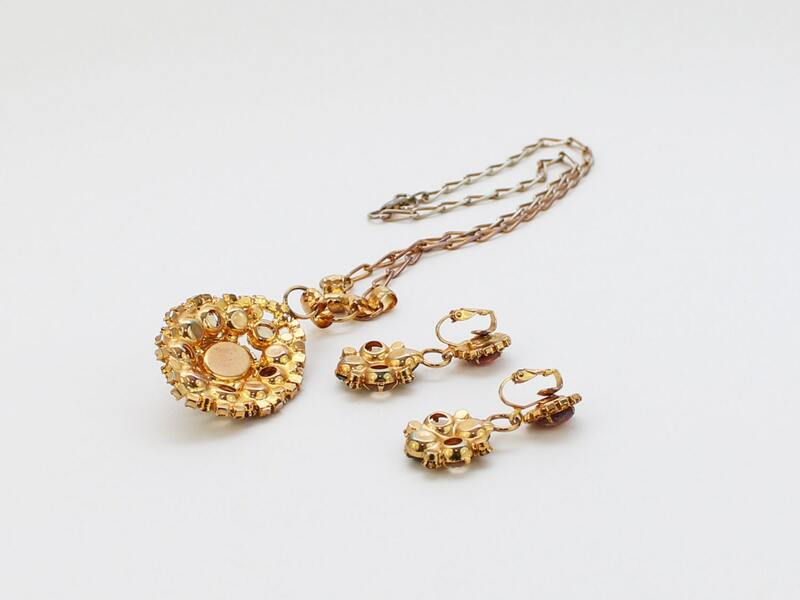 The necklace closes with a box clasp and has some rub wear on the chain.